St. Innocent Orthodox Church - Why Icons? For 1-page PDF file, click here. Sometimes people think that there is no substantive difference between the "religious art" of non-Orthodox Christianity and Orthodox icons — they are both "nice", but not essential to the Faith. Nothing could be further from the truth from the Orthodox perspective. 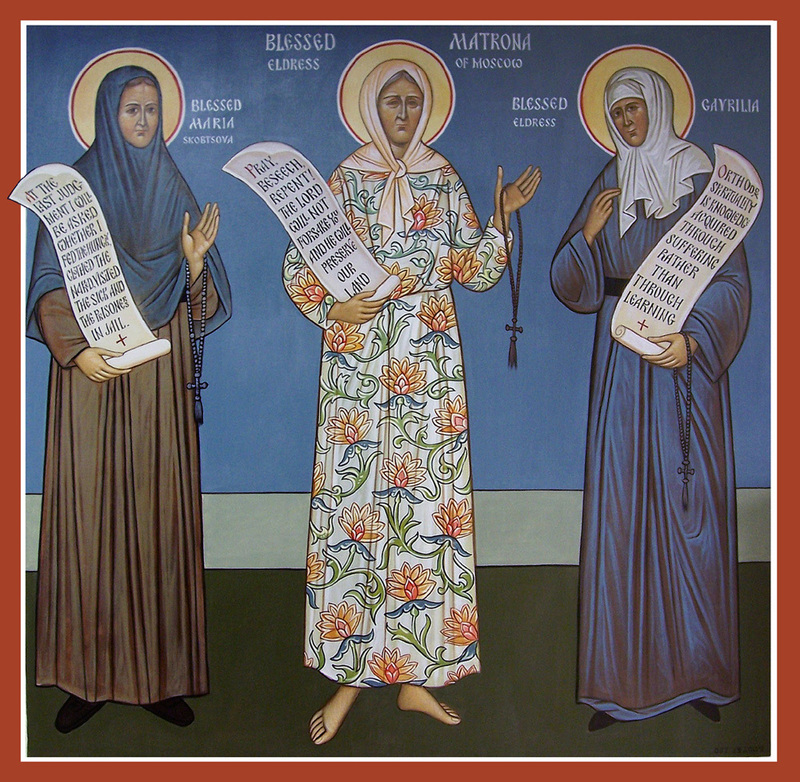 For Orthodoxy, icons are in a totally different category from non-Orthodox "religious art." Indeed, this latter "religious art" is not essential to Roman Catholicism or Protestantism. But that does not mean that the same is true for Orthodox Christianity. (3) and they affirm that the physical world has the potential for being transfigured and resurrected, as it participates in the restoration of humanity to the beauty of the Divine Image and Likeness. "Why icons?" and "What are Icons?" are two very similar questions. Sometimes it is difficult to succinctly define "What are icons?" But let us try. ♦ Icons are silent sermons expressed in colors, rather than in words. ♦ Icons put us into the Divine Presence and the Divine Presence into us. ♦ Icons are glimpses of what is ultimately meaningful and possible in life. ♦ Icons are two-way windows into the Kingdom of God, already visible here and now. ♦ Icons make visible the invisible, and thus, are vehicles of divine revelation. ♦ Icons are instruments of grace, by which persons can encounter God, Christ and the Saints. ♦ Icons make present the great events of salvation-history, and the great heroes of the Church—the Saints. ♦ Icons enable us to stand in two worlds—the heavenly and the earthly. ♦ Icons enable us to become participants in the vision of the reconciliation of the cosmos to God. ♦ and how we are to live our lives. Learning to read the language of authentic Orthodox icons, so that all these qualities of icons can be discerned, is a most rewarding endeavor. But it isn't really all about a cognitive effort. Rather, learning the language of icons, in essence, involves expressing in words what is encountered and experienced by the heart, or, to put it differently, it involves projecting into the mind what the heart already knows. One might say that the process of learning the language of icons is an act of "uniting the heart and the mind;" it is a process of both "bringing the mind into the heart," together with the reverse procedure of "bringing the heart into the mind." But, we wish to emphasize, that the Orthodox faithful do not USE icons (despite what some contemporary Westerners try to popularize); we ENCOUNTER icons; we EXPERIENCE icons. This encounter is experienced by the HEART, not the MIND. The Western mentality is that nothing is of value if it cannot be USED. The Orthodox mentality emphasizes that value is based on what a thing (or a person) IS, not, how it can be USED.